Dawood Ibrahim Kaskar and Iqbal Ibrahim Kaskar were born to Ibrahim Kaskar, who was a head-constable in the Mumbai Police force. Ibrahim Kaskar and Amina Kaskar (Dawood’s mother) had 7 sons and 5 daughters. Iqbal Ibrahim Kaskar is the youngest brother of Dawood Ibrahim. Iqbal Ibrahim Kaskar is the youngest brother of underworld don Dawood Ibrahim. Iqbal was arrested by Mumbai Police in an extortion case earlier this year following the complaint by a builder. Thane Anti-Extortion Cell picked up Kaskar from his Mumbai residence. According to police, Kaskar had been threatening builders on behalf of his brother Dawood Ibrahim to extort money and some of the builders had already paid huge sums of money to Kaskar. Two other aides Israr Jamil Sayyed and Mumtaz Ejaz Shaikh were also arrested along with Iqbal. Encounter specialist Pradeep Sharma led the team of police that picked up Kaskar. Sharma was recently reinstated and posted with the Thane crime branch’s anti-extortion cell. After the investigation in the case, Maharashtra Control of Organised Crime Act (MCOCA) was slapped against Iqbal Kaskar and Chota Shakeel. During the interrogation Iqbal confirmed that his brother Dawood is in Pakistan. Police officers investigating the case said that Iqbal has provided some vital information related to Dawood and his whereabouts which will help in building a strong case. In 1984 Pathan Gang members Samad Khan and Mehmood attacked Iqbal Kaskar by Sten gun. One bullet had hit me on my head and later I was admitted to JJ Hospital. As a revenge of this, Dawood murdered Samad Khan using Sten gun. In that case, Dawood was never arrested. Iqbal Ibrahim Kaskar is the youngest brother of underworld don Dawood Ibrahim Kaskar. At the age of 15, Iqbal Kaskar was working in a diamond factory at Masjid Bunder. He was paid Rs 2.50 per diamond cut. Iqbal later opened a electronic goods shop and used to sell electronic items. In 1984 Pathan Gang members Samad Khan and Mehmood attacked Iqbal Kaskar with a Sten gun and he received a bullet injury on his head. Dawood took revenge and killed Samad Khan using a Sten gun. Iqbal was once again attacked in the year 2011 but he escaped unhurt. Iqbal went to Pakistan in 1995 to meet Dawood Ibrahim and later went to Dubai. During the recent interrogation, Iqbal Kaskar revealed that Dawood Ibrahim is in Pakistan. 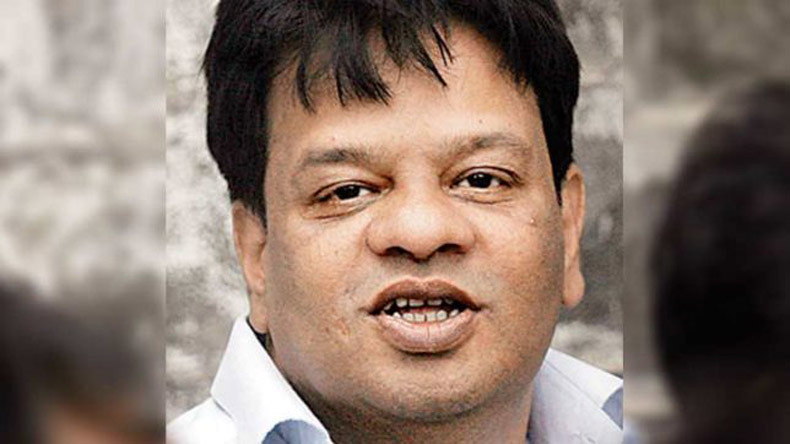 Iqbal Kaskar was also arrested in February 2015 on charges of extortion and assault. In 2010, Dawood Ibrahim called Iqbal and asked him not to roam here and there and not spend time playing carrom, citing security reasons.